Akshay Kumar's 'Kesari' Full Audio Album Out Now On YouTube. Home Entertainment Bollywood News Akshay Kumar’s ‘Kesari’ Full Audio Album Out Now On YouTube. Bollywood star Akshay Kumar is all set to temp his viewers with next power-packed movie entertainer ‘Kesari.’ This movie is narrating historical story the Battle of Saragarhi where an army of 21 Sikhs fought against 10,000 Afghans in 1897. The makers are promoting the venture on possible platforms as it’s hitting the screens on March 21, 2019. The full audio jukebox album has released, and the fans can listen to the soothing tracks now. Recently, Teri Mitti song was released by makers and already become hit on Youtube. 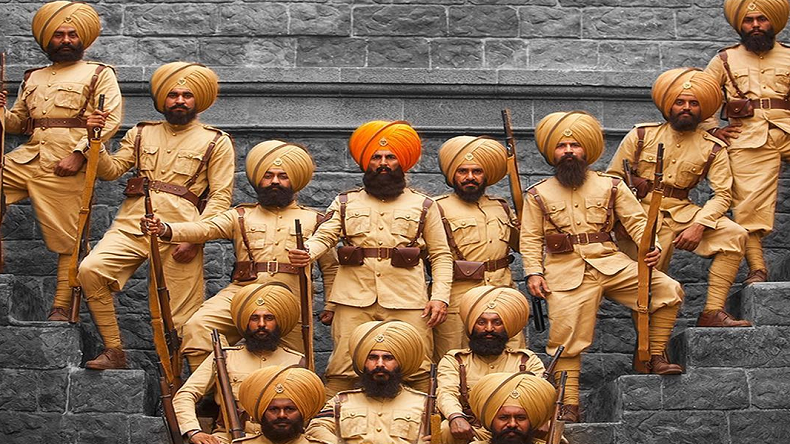 Kesari is a story of the battle of Saraghari, 21 soldiers of the Sikh regiment bravely faced 10,000 Afghans. Akshay Kumar played the character of Havaldar Ishwar Singh who participated in this fight. Parineeti Chopra cast opposite to Akshay Kumar in the movie. The film is will released on March 21. It has produced by Dharma Productions and written by Girish Kohli and Anurag Singh. Anurag Singh directed the movie as well. Jasbir Jassi, Gurmoh, Jasleen Royal are music composers. Previous articleHoli 2019: Quick guide for amazing Skin, before and after Holi. Next articleBefore LS polls, PM Narendra Modi Take Over Fashion World In Jabalpur. Watch How!